Learn more about the things you should know or would like to know about HVAC systems and maintenance. Have a specific question in mind? Let us know! Are you considering an investment in a new commercial building? Are you ready to take the next step of expanding your current business or starting one from scratch? Whatever the case may be, there is one area you need to look at before signing on the dotted line. That is the commercial HVAC system. It is imperative that you have a commercial HVAC system inspection completed before you buy. Here are some reasons why an inspection should be at the top of your to-do list. The heating, ventilation and air conditioning system is one part of your building that when it works, you take it for granted. In the same vein, if it’s defective, you will really feel every minute that you are inside the four-walled structure. Installing this system in a new building is complicated enough, but retrofitting HVAC for historic buildings is a whole other level altogether. 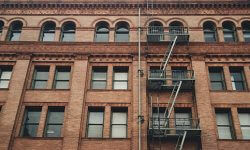 We have compiled a list of guidelines to retrofit HVAC for historic buildings. 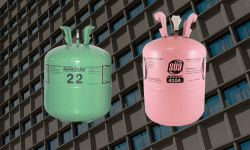 Refrigerant recovery is outlined in the US Environment Protection Agency due to the extremely hazardous nature of the refrigerants and coolants. Each step and procedure should pass standards and safety benchmarks in accordance with proper disposal, reclamation, and retrieval. 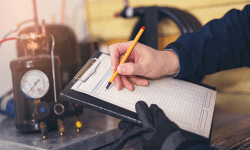 Here is a list of the types of refrigerant recovery methods and disposal methods. 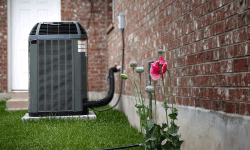 What are BTUs and How Does it Relate to HVAC? Working with a lot of HVAC systems, most managers have come across the acronym BTU. But what does it really pertain to and how is it relevant to the HVAC system? Understanding BTUs and how to calculate them provides a closer look at how effective the existing HVAC system can be while doing its job. 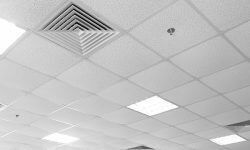 Commercial facilities all need great indoor air quality, but there’s a debate on having an air cleanser versus air purifier. Everyone breathes in that re-circulated air all over again and even in greater contaminated doses. It’s no wonder many people suffer from respiratory and allergy problems in a day’s time. Depending upon your business, you need to carefully select an air cleaner, an air purifier, or both. What is the Proper Temperature for a Data Center? 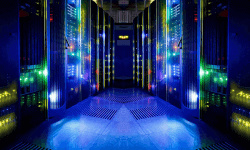 Figuring out the proper temperature for a data center can be a daunting task. Data centers are heavily relied on to keep confidential information safe and secure at all times. 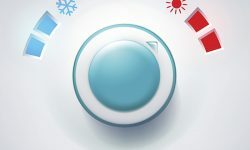 Here are some of the problems data centers face when temperatures rise too high, and what you can do to reduce them. Does Your Thermostat Need Replacing? 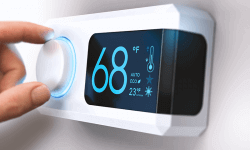 Believe it our not, your thermostat could be wasting your company money every month. You need to ask your HVAC company, “Does Your Thermostat Need Replacing?” It could save your business money! 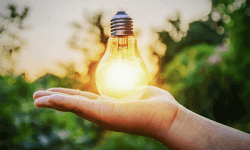 You can vastly impact the efficiency of your HVAC system. The types of commercial HVAC ducts used in designing or updating your system will also affect the noise levels of your system. 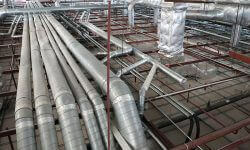 Here’s the 411 on the types of commercial air ducts available.